Hammerstone Studios announced Wednesday that production will begin with a third installment of the "Bill & Ted" franchise, with Keanu Reeves and Alex Winter repeating their roles as the duo of Metalhead slackers. confirmed the news in a video. "It's all because of you, and we owe you great gratitude and we wanted to thank you," Winter said in the video. 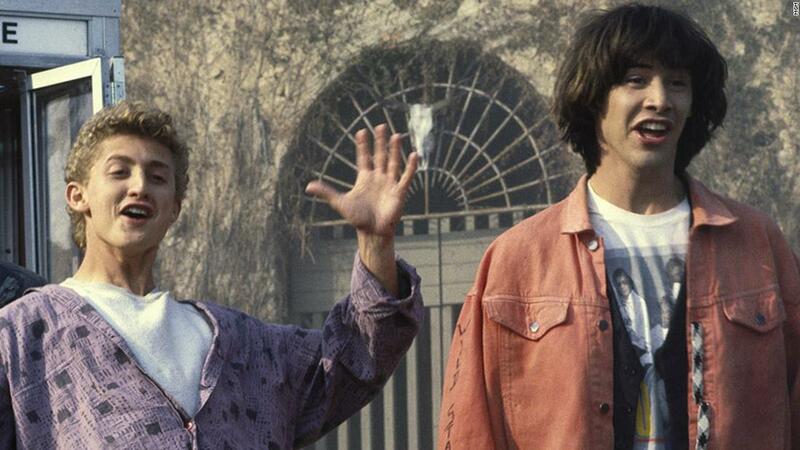 "Bill & Ted Face the Music" will shoot in New Orleans, with Dean Parisot ("Galaxy Quest") on board. Chris Matheson and Ed Solomon, who wrote the two original films, return to write the third part. According to a description for the new movie, Bill and Ted, now middle-aged, have not yet fulfilled their rock-and-roll fate. But "if a visitor from the future warns them that only their song can save lives as we know it and bring the universe into harmony," the two embarked on a new adventure. "On the way they are supported by their families, old friends and some music legends," complains the description. , 2020. Date of publication. If it stays that way, the gap between the second and third movies in the franchise will be about 29 years.